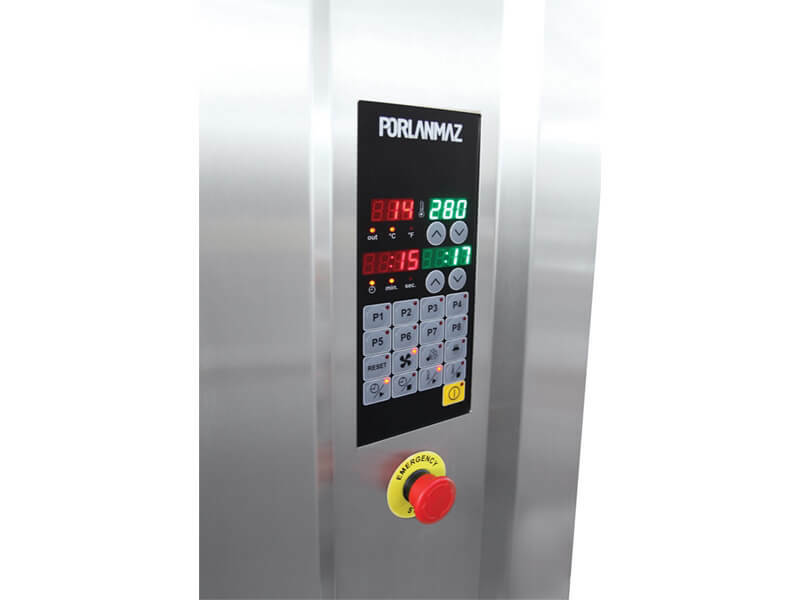 The major feature of the Porlanmaz Rotary Rack Oven is the equal heat distribution; operate at high production and regular circulation. It’s provided by well-designed heat exchangers. 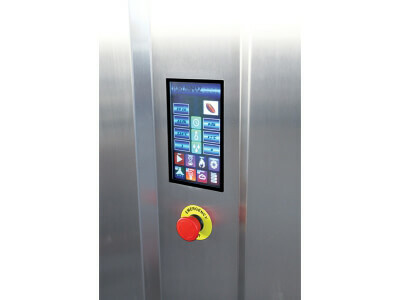 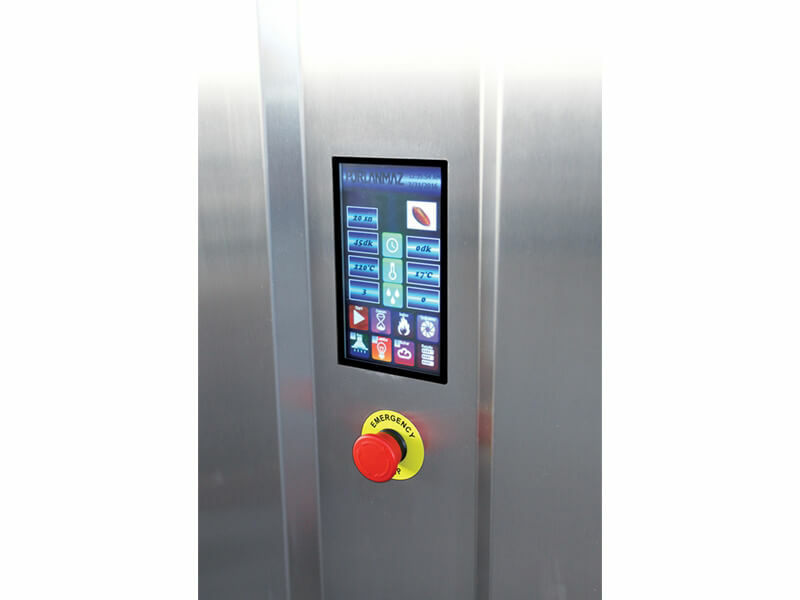 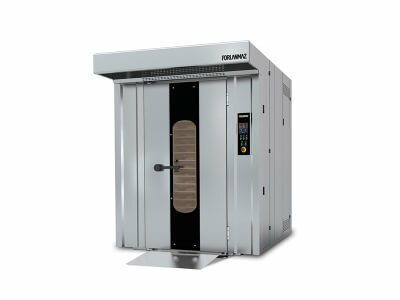 This ensures more uniform baking with lower energy consumption. Burning chamber is made of heat resistive (more than 1000 centigrade degree) special stainless steel. By means of the plate-tube system, high level steam is produced and each of the pans is adequately provided with the steam. 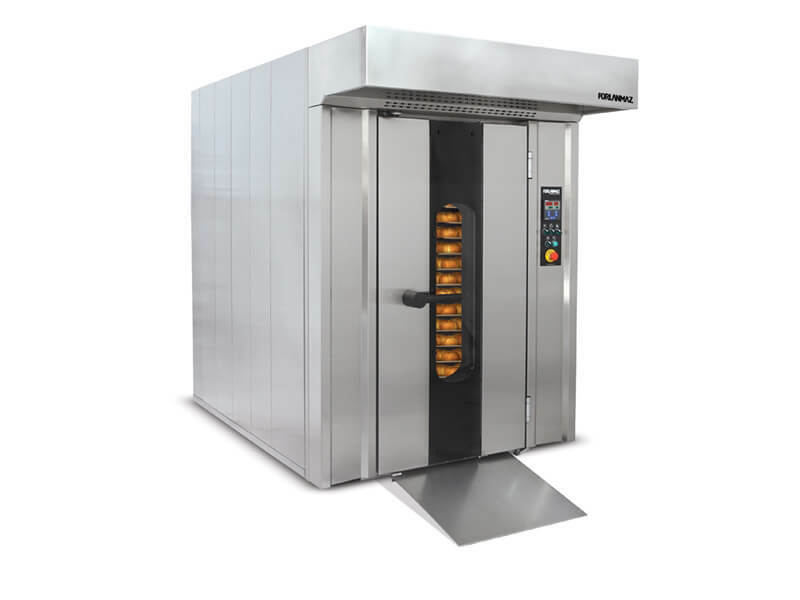 Our rotary ovens are produced with side burner which is suitable long, narrow rooms and in extra compact dimensions. Therefore, our rotary ovens are ideal for installation in any bread or pastry shop. 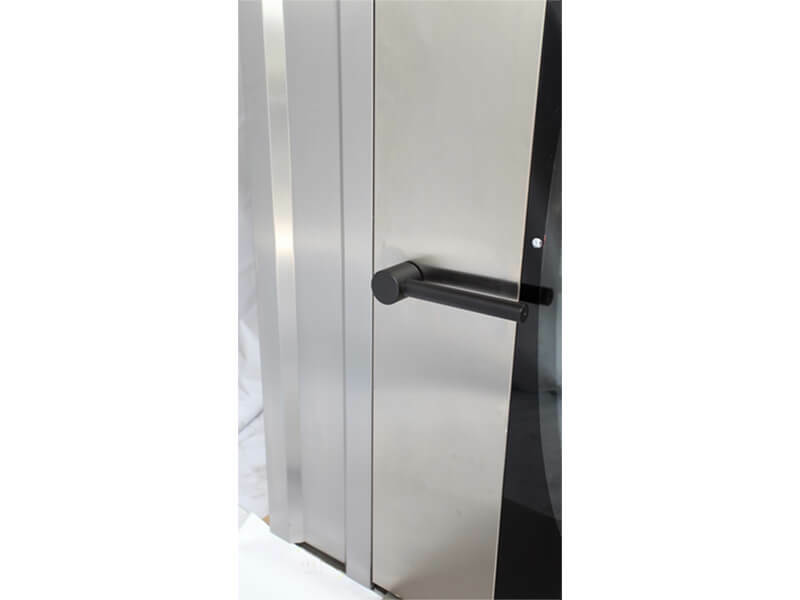 By means of halogen lamps which are mounted the on the door, an excellent illumination is obtained and it is easy to replace the lamps. The steam is prevented to be dispersed in the workshop thanks to the hood and aspirator over the oven. 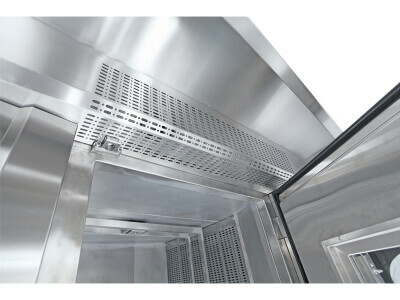 Baking chamber, all outside hoods ad chimney hood are fully made of stainless steel. It is easier to maintain and use of the oven as per its peers. 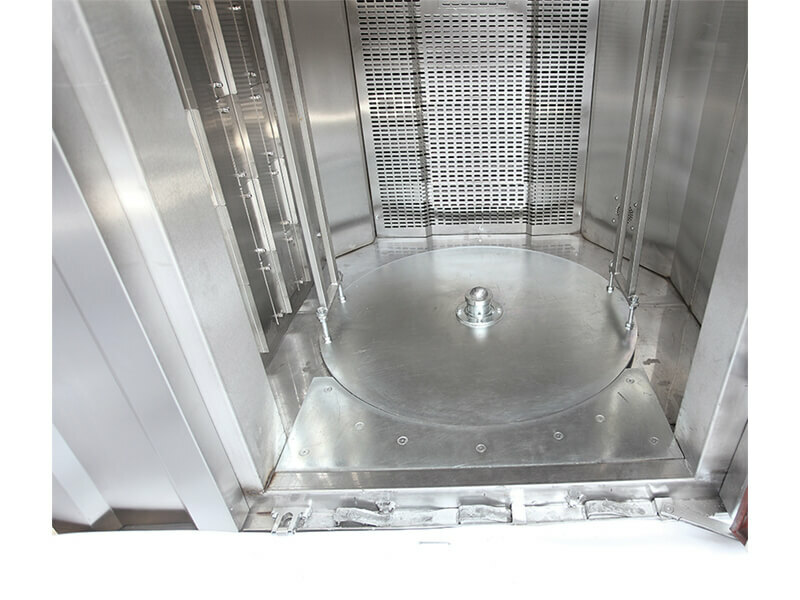 It is recommended that a water softening unit is fitted to the water supply of all ovens.